All in one mirror photo editor app with ample of options to remodel your picture into new appearance with 100+ frames options including mirror frames, PIP frames and collages. We provide you with the best photo editing tool which has rich features to add text, stickers, frames, modifying background, make mirror twins with 14+ different layouts. Mirror image is one of the most creative ways to make your pic more stunning. MirrorPic Photo Mirror Collage also includes the PIP effect option to create your mirror image inside PIP frame with almost 20+ unique PIP frames including quotes. The app also has grid option to make collage of your best pics with almost 15+ layouts with the options to change background, gradient, wallpapers, user image and make it blur, adjust inner margin with frame, add stickers/text, add border frames/remove it, reset to original, save and share. 1. Mirror – Choose a pic from gallery to modify into mirror images, it includes the best 14 mirror layouts with almost 6 mirror images, lumia filters, 20+ 3D frames, border frames with unique styles, customized text, emojis, reset option, save and share. 2. 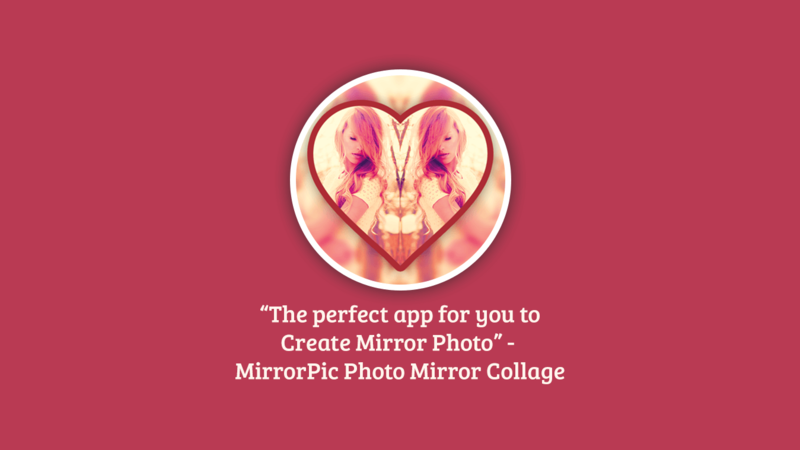 Effect – Select a picture from pictures library and get the best pic-in-pic mirror image with beautiful PIP frames set according to your picture with effects and stickers options. Right click on image to move, zoom in/out and rotate left/right to adjust according to the frame. 4. Grid – Collage layouts to make memory out of your best pics with several background options, frames, adjusting option, fill background with several gradients and share your memory on social media or over message/mails among your loved ones. This app is the best one to play with your pictures as it is a dynamic all-in-one application with includes all the features that you can apply on your image. Enjoy clicking, modifying, making attractive and save/share with your friends and family to make them a part of your good moments…!